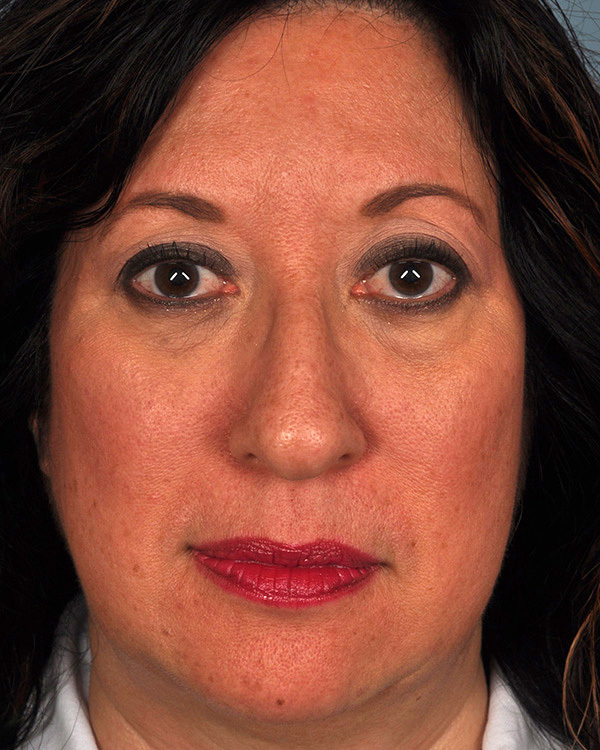 This 56-year-old Virginia woman, seen here before and after a facelift with chin implant, consulted with Dr. Hubbard, a Virginia Beach plastic surgeon specializing in cosmetic surgery, to address the aging changes to her face and neck. 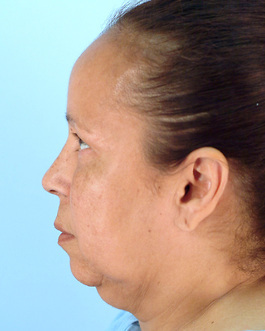 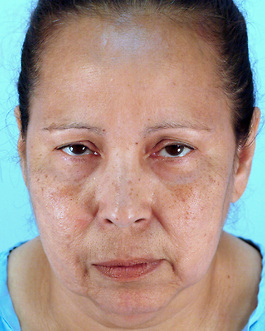 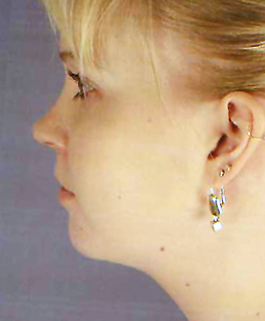 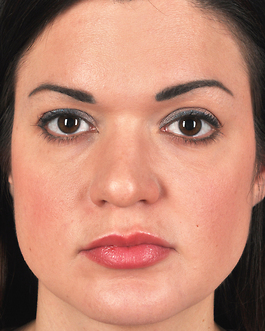 Her exam before surgery revealed sagging of the cheeks and chin as well as excess fat beneath the chin. 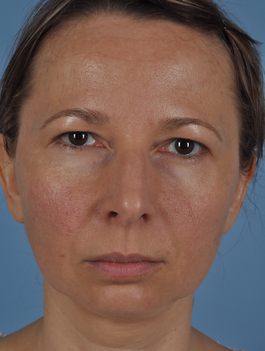 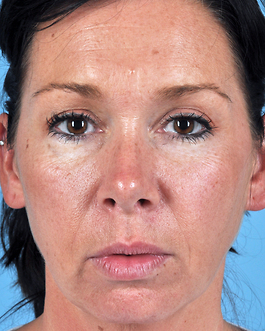 After a thorough discussion, she and Dr. Hubbard planned a 2 layer facelift that would nicely lift the sagging cheeks and eliminate her jowls. 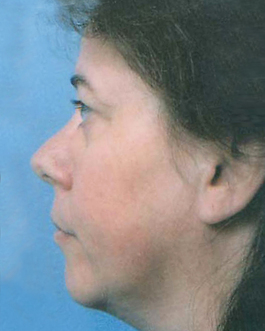 At the same time there would be a rejuvenation of the neck, also in layers, taking care of fat and sagging muscle and skin. 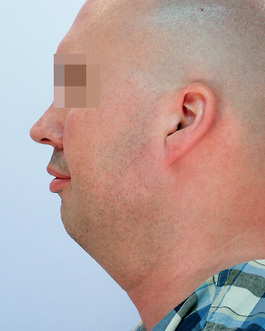 It was discussed how a chin implant could nicely augment the rejuvenation on both front and side view by enhancing the jaw line. 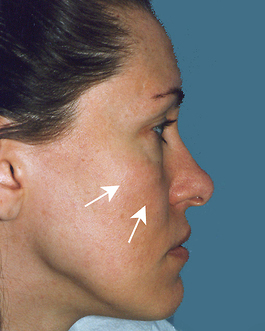 In front view, the chin implant extends into the hollow in front of the jowl, an area that can also be addressed by injecting fat instead. 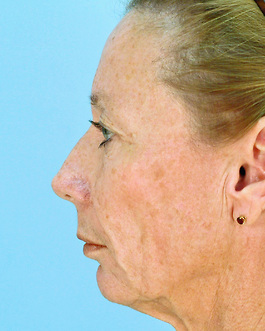 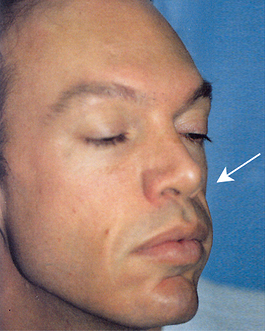 On side view, the chin implant brings the chin forward creating a better balance with the rest of the face. 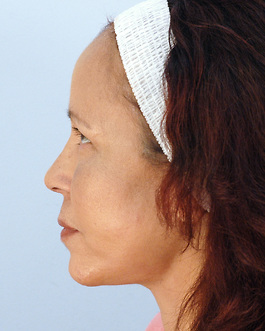 The chin implant is easily placed at the same time as the facelift through the same incision needed beneath the chin for the neck lift part of this procedure. 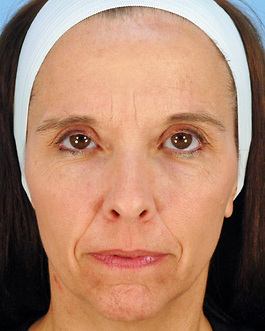 As she found, facelift and chin implant can wonderfully complement one another when indicated.